Well for the Ways to Use it Challenge over at Splitcoast today…Dying for Die Cuts. I’ve always admired how so many papercrafters out there can layer the Spellbinders dies in so many layers and different shapes to come up with a truly splendid design. So here’s my attempt at lots of layers. 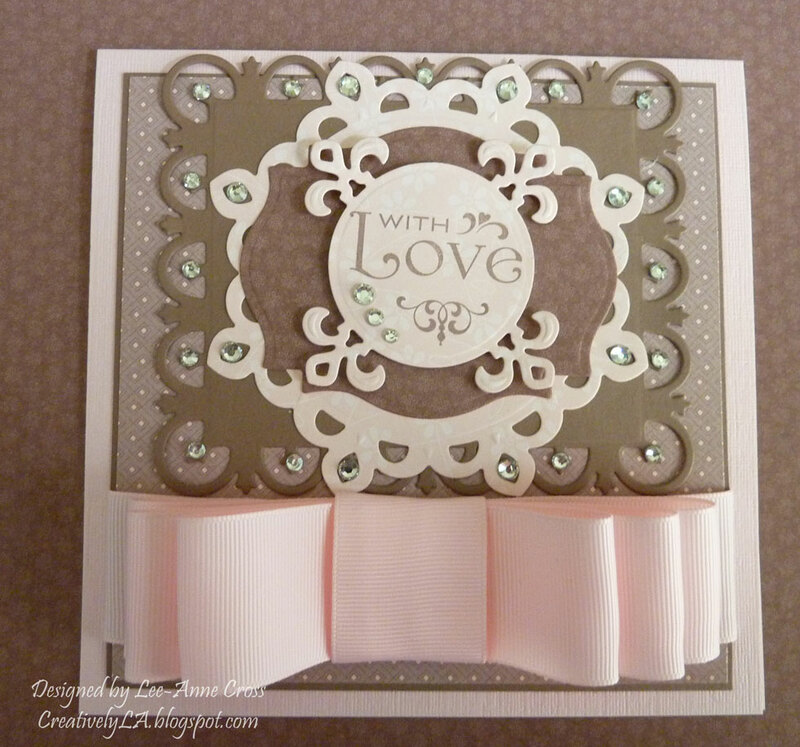 The cardbase is 6 x 6 inches square in textured Pink Pirouette from Stampin’ Up! The dp is also from SU and is retired. The solid Fleur de lis Rectangle is in Close to Cocoa (retired). Next comes a Fleur de lis Motif in the designer paper, followed by a Label 18 and finally another Fleur de lis Motif. The sentiment has been stamped in Close to Cocoa and is from Waltzingmouse Stamps. The tailored bow is also in Pink Pirouette, and yes, you guessed it…also retired from SU. I added several (make that a lot) of Basic Rhinestones from SU for some bling. Thanks for joining me on my blog today. Hope your day is amazing!